Raise a glass for a wine tasting fundraiser! Over the last few years wine tasting fundraisers have become a popular and successful addition to many fundraising groups annual calendar of events. In particular school fundraising groups have embraced the idea and its not difficult to see why. Wine fundraisers offer the opportunity for a very pleasant social occasion with fellow parents. A pleasure rather than an obligation. Something a little more sophisticated than some of the more common school fundraisers. But for all not profit groups, as well as the cash raised, such social occasions are a perfect way to get to know people and build support for your organisation. How does a wine fundraiser work? Nearly all wine tasting fundraisers are run in partnership with a wine merchant. They will usually offer the sample wines, the tasting expertise and the opportunity for your supporters to buy wine at a good price. In return they get the opportunity to sell wine and promote their business to a good number of potential local customers. It is usual that the charity organisation will receive a percentage of sales from orders taken at the event. This is not always enormous but once you have people at your event of course there are several other opportunities to raise funds. Many wine merchants have quickly cottoned on to the possibilities afforded by charity wine tastings and will probably have some good ideas about what will work best. Most will offer a simple percentage to your organisation based on orders taken. 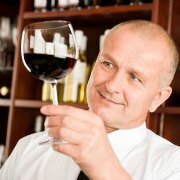 Is the wine merchant the right person to present at your event. There are plenty of wine merchants in most towns. and also increasingly a number of individuals running small scale wine operations from home so do visit several merchants and shop around until you find a set up you are happy with. Many people know very little about wine. Those that do tend to go to more professional tastings. To avoid any fear factor make sure you market your fundraiser as no pressure light-hearted, lip smackingly tasty, social fun. Novices welcome - just bring your enthusiasm! Have tasting tips available either in advance or on the night. But do make people aware that you do not need to be an expert to take part. Getting as much publicity as possible for your event is vital. Make sure that you get the word out to all the local media - newspapers and local radio. Plenty of posters and flyers are also a good way of getting your event noticed. A wine tasting fundraiser is the sort of event that people like to attend with their friends so try to get your supporters to talk it up with their family, friends and colleagues and try to get them to come. Free offers and entries to prize draws can also be a great way of whooping up a little extra interest and free publicity. or a really successful wine tasting fundraiser it is important to choose a good venue - A good social space is needed. Village or school halls are perfect. Outside events in large gardens or other outdoor scenic locations also work well though you may like to arrange a wet weather option also. You will need tables and chairs. Don't forget also that you will probably need a facility for keeping certain wines cool. If your wine merchant cannot supply them you will obviously need wine glasses. A great many supermarkets will offer free loans of these as a better option to hiring. Do try to have glass though. A wine tasting with plastic glasses - Ughh! It is probably best to appoint a Master Of Ceremonies to front your event and explain what will be happening and how it will profit your good cause. They will also introduce the wine merchant at the start of the tasting etc.... and thank everybody at the end. Usually people will arrive and be given a free drink. Then it is normal for the wine merchant to give a little talk. For the uninitiated it is quite interesting to learn how to taste wine properly at these events. A good wine merchant can make this fun rather than intimidating. The merchant will then give a brief introduction to all the wines on offer this may include everyone tasting that wine there and then or waiting and being free to seek out each one afterwards. Samples of each wine are usually set up on different tables and the wine merchant will usually flit between them as people circulate and try the wines. Alternatively you could have everyone sit down and whilst the wine merchant stands at the front and talks about each wine your volunteers visit each table with the appropriate bottle to pour small samples. It is usual for short descriptive notes to be available for each wine. Your wine merchant should usually be able to supply these but you may like to incorporate them into a specially prepared sheet for the event which includes all your own organisations branding etc. Little touches like this make your group look much more professional and your event better run. Another nice touch is to have little score cards so that people can mark the wines out of 10 and make notes about their favourites. You could also include a small voting card for Wine Of The Evening. With a free bottle of the winning wine going to the person whose card is drawn out of a hat / wine bucket. It is normal to charge for tickets to a wine tasting fundraiser. This will usually include light refreshments and one free drink on arrival. Usually this will cover the costs of the event. Once you have people at your event however extra money can be made with a variety of appropriate fundraising options. Raffles and tombolas are easy to do. You may also have other things on sale. Another popular addition is a silent auction where bids are made for certain items on a sheet of paper left on the auction table. You will also make a percentage on any sales so do let people know how they are helping by buying wine. It is usual for people to order cases for delivery at a later date but it might also be possible to have bottles of wine to purchase and take away on the night if the local licensing laws permit it. Any fundraising event involving alcohol needs to be properly managed. For many people having a couple of social drinks is part of the attraction. Be aware however that people trying a few wines even if it is only a sip of each will effectively be consuming alcohol. Have non alcoholic drinks available also. Do not allow any minors to attend. Well it was all in a good cause!